This electrically powered low heat tool will enable detailed graphics with the wax colours. It operate on 220/240v systems only. 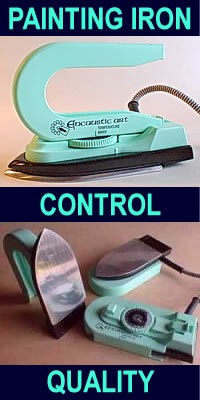 Contains everything that you need to start except for the iron. 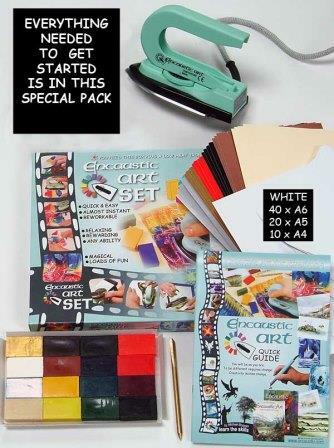 The individual contents are worth more than this set costs, so you are getting a bargain - good if you are wanting to start exploring encaustic art, and it makes a great present for all sorts of people too.